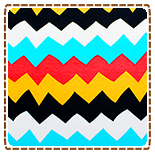 We have some great new patterns from customer favorite Greenstyle and these are for the whole family, dad included! Just added to the great Girl Charlee knit pattern selection we have a versatile Maxi Skirt pattern for woman, and a sweet Maxi Skirt patterns for girls, and a cozy Hampton Short pattern for men. 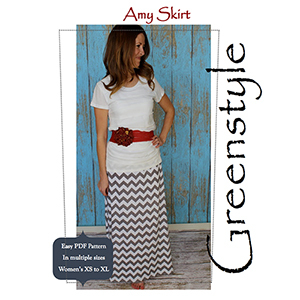 The Amy Maxi Skirt Pattern includes instructions for sewing with patterns like chevron and stripes, as well as regular fabrics, and takes only 20 minutes to complete. 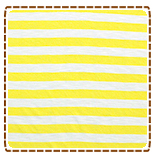 Great for beginners and uses only 2 - 2 1/2 yards of knits. 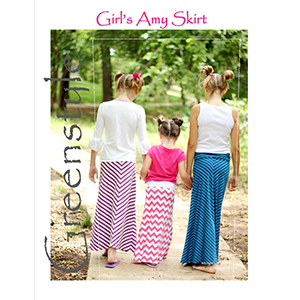 The Amy Maxi Skirt Girls Pattern is sized for girls 2 to 16 years and includes instructions for different options as pictured. 20 minutes of sewing time and easy to follow instructions! 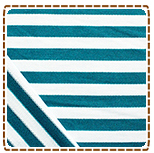 The Mens Hampton Shorts patterns for dad joins our popular boys and girls Hampton Short Pattern. 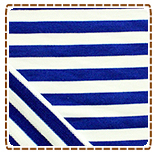 Sized for teens and adults it has two options for either an elastic waist or a drawstring waist and includes big side pockets for phone and wallet. I really like the look of the Amy Maxi skirt for women and the ruffled bottom pants but I am plus sized (20-22 size for bottoms). 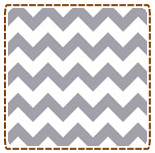 Do you have any recommendations for similar patterns that would extend to my size? I know there are tutorials out there but I'm a little nervous working without a pattern. Thanks! 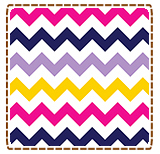 Sorry we do not know of any but we will certainly give the feedback to the designer about adding plus sizes and let you know.